Coming from Singapore - this place is as close to the hawker food you find in Singapore. Given that Malaysia and Singapore are only separated by a small strait and Singapore was once part of Malaya, there are some similarities in our food. 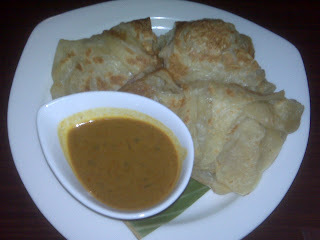 We started off with a Roti Canai, similar to Roti Prata in Singapore, served with curry. This was delicious - slightly crisp yet still fluffy when you bite into it. Sorry I didn't bring a proper camera so these dim pictures were the best I could do. 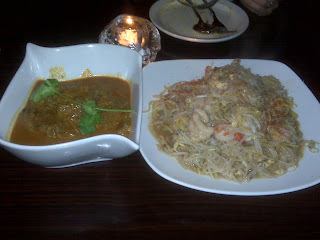 The hokkien mee had the wok fried smoky taste and the beef rendang was sedap :). Satisfied my craving for hawker food.